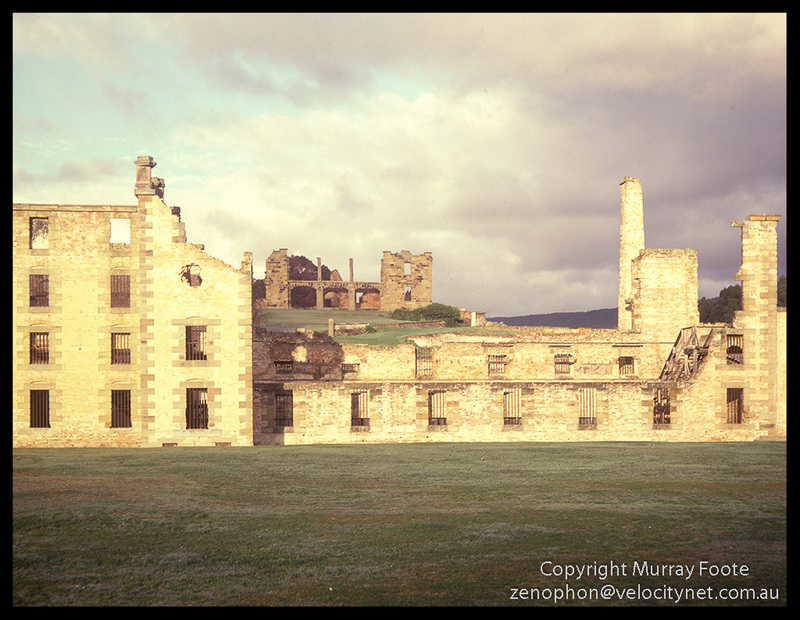 Having walked out of the end of the Tasman Peninsula after photographing Tasman Island, I was very close to Port Arthur so I visited there too. This was on the afternoon of 28th July 1987. 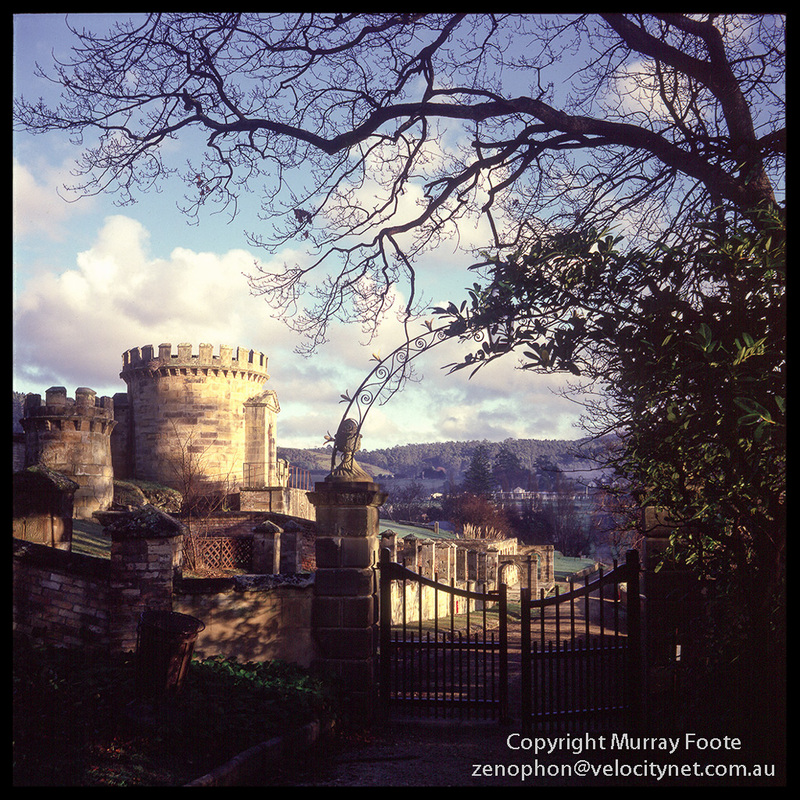 All these images are taken with my 1937 Rolleiflex, handheld. Just some quick images before I had to move on. I presume the structure above is a guard tower. It has 1835 inscribed above the door. There is some connection with lighthouses here, too. If you were a very lucky prisoner in the early years you might get offered a commutation of the sentence to be a lighthouse keeper instead. Not that there was any luxury associated with that. One unfortunate individual was dropped on a Bass Strait island with supplies and building materials but the next night a big storm came through and washed them all away. He led a desperate existence until the boat returned three or six months later and by that time had gone quite mad. Whether he was a prisoner I don’t remember. 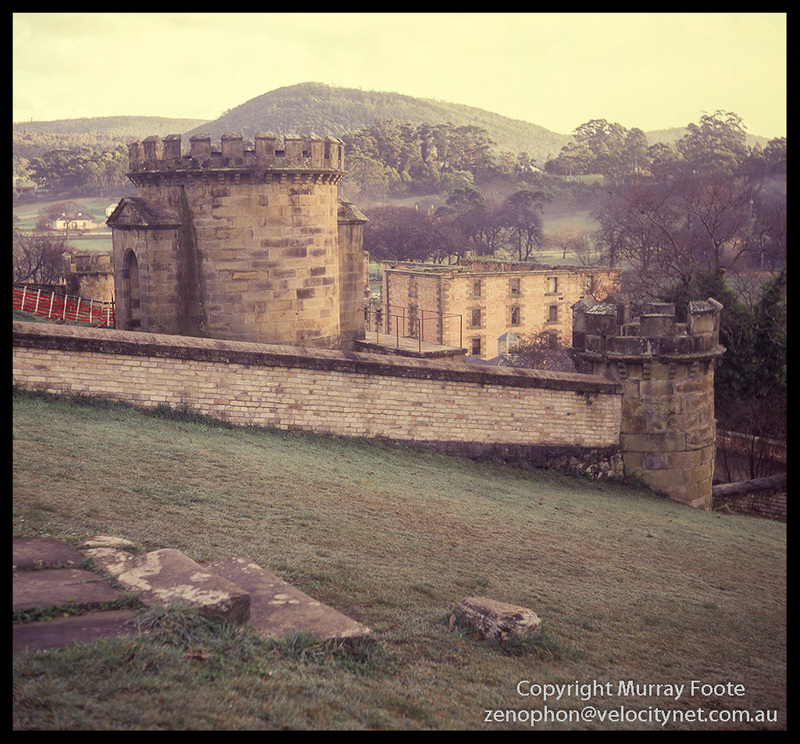 Port Arthur became the main colonial prison in Australia and the prison for the most hardened recalcitrants. 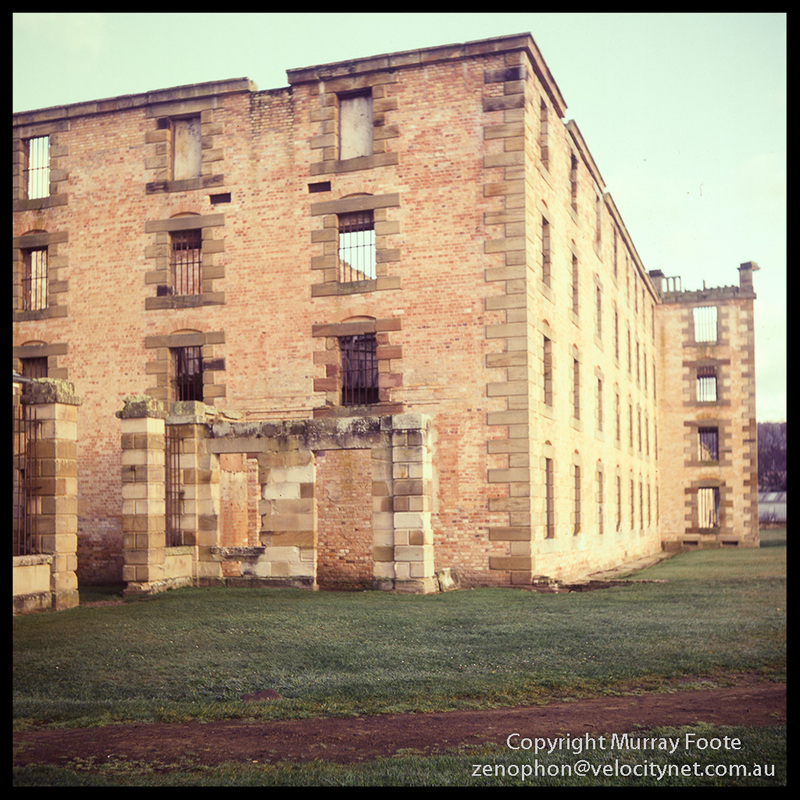 It started operations in 1833 and the last convict transported from England was in 1837. 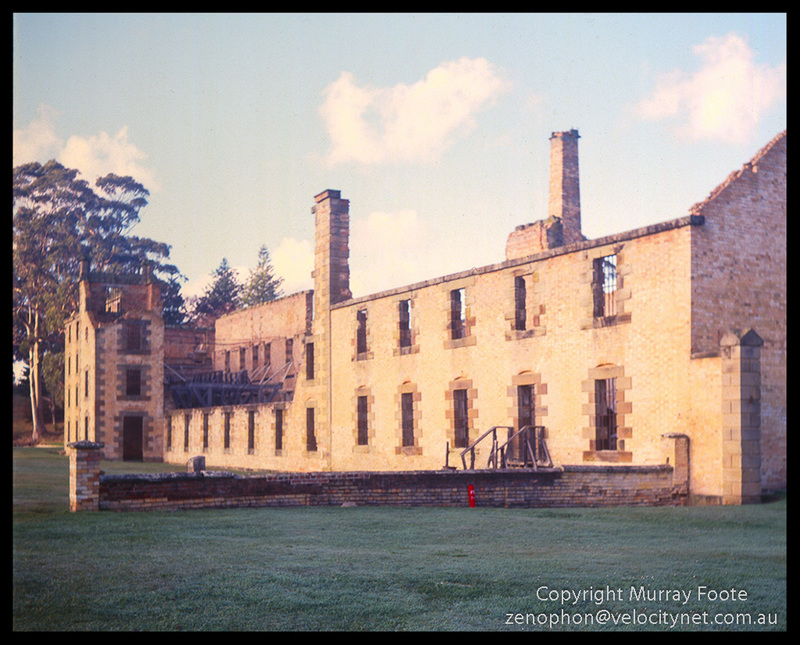 The prison operated until 1877. Because it was on a peninsula with a very narrow ithmus it was very difficult to escape from and few succeeded. One who managed to escape several times was a very colourful character called Martin Cash. 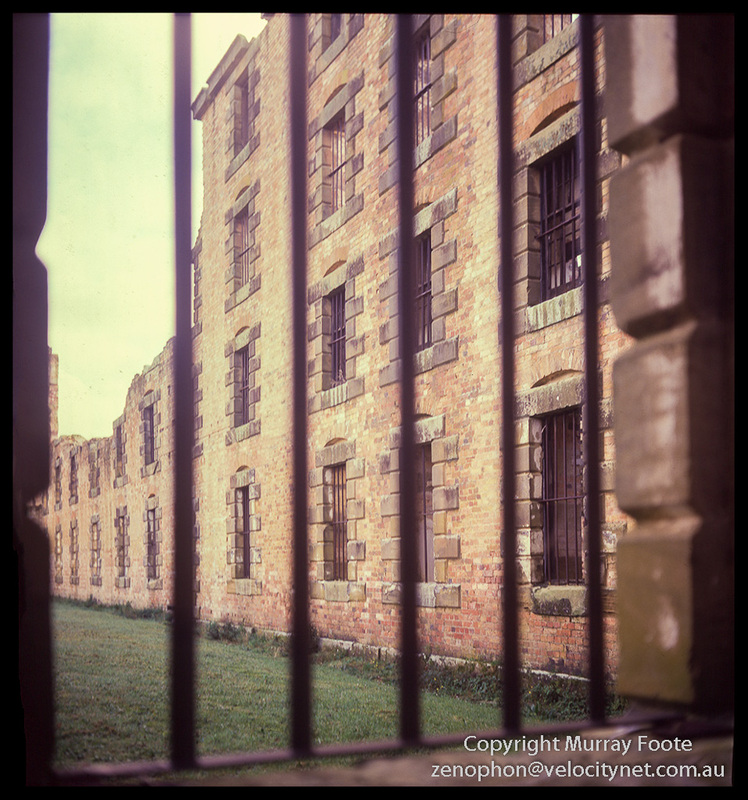 There are 1,466 convicts buried there, along with 180 staff and military personnel. 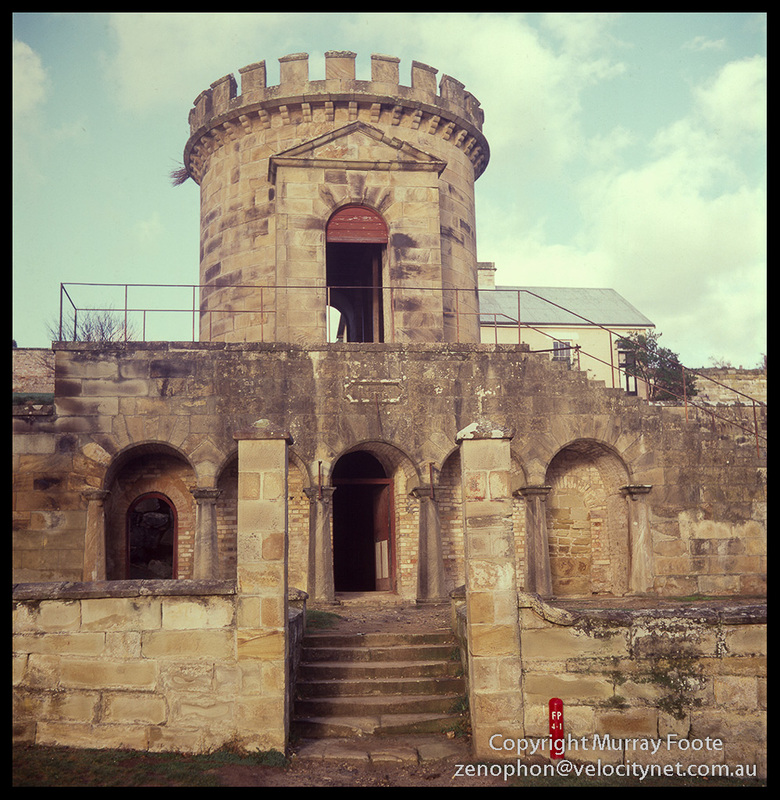 Perhaps somewhat ironically, Port Arthur also became the scene of a massacre in 1996 when the psychopathic simpleton Martin Bryant killed 35 people and injured another 23. 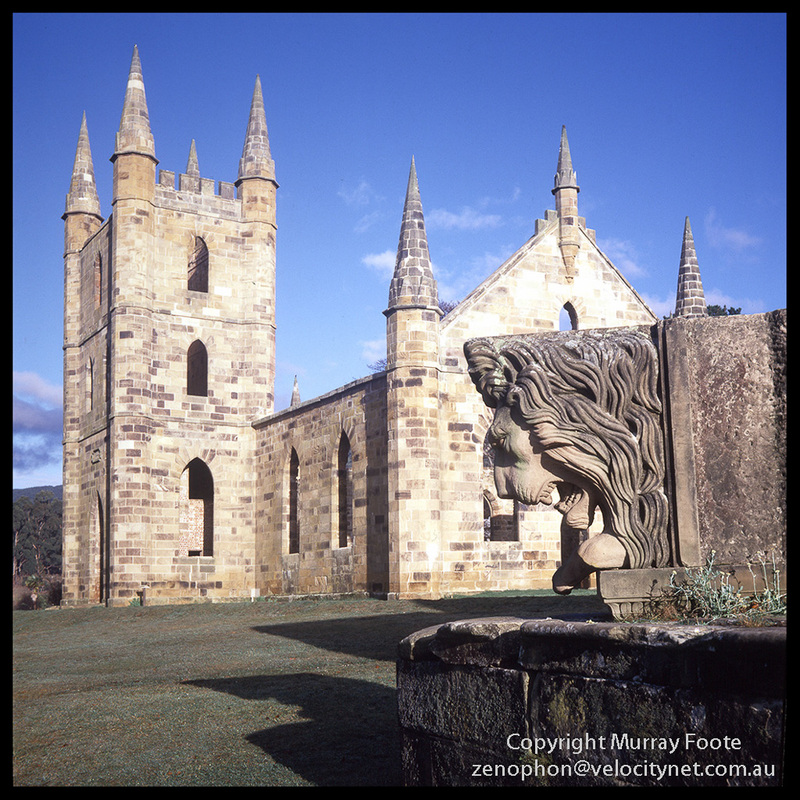 This entry was posted in Australia, From Dusk Till Dawn and tagged Architecture, Australia, History, Landscape, Photography, Port Arthur, Tasmania, Travel. That is such an eerie site. Did you feel any peculiar vibes? Any ghosts from the past seeking help from the living? It was twenty-six years ago and I don’t recollect the specific impression with any great clarity. Definitely a place for wonder and contemplation though. great photos, and as usual great stories too!